In this interview, Lori Ballen invites Sandy Williams to share her top tips for a Youtube Channel that generates Real Estate Leads. From Drones to $6 Video Editing, Sandy offers great strategies. What Do I Make Videos About? How Often Should You Create Videos? How Do I get Video Edited? Can I Get Other Services To Complement the Video? How Do I know People Are Watching the Video? What Else Do I Need To Make Videos? Lori: Hello, everybody. Welcome to today’s show. You’re listening to my podcast, possibly playing this back on a YouTube audio, or even reading it on our blog site. We appreciate that you’re here. I am Lori Ballen, and I have a real estate team here in Las Vegas, Nevada. We serve North Las Vegas and Henderson at the Lori Ballen team. I am super, super passionate about lead generation. I also opened a Marketing Company a few years ago called Ballen Brands, and we now do marketing for real estate agents. We build WordPress powered IDX driven real estate agent websites, manage pay per click services, create blog content, and pay per click marketing. We’re all out here to help you get more leads. Well, one of the things that I know about lead generation is that I don’t know it all. I kind of stand in my little pocket. I specialize in web leads. And I would say search engine optimization is probably number one for me. Social media number two, and YouTube follows both of those components, number three. I’m doing a lot with internet marketing, so I’m out interviewing Real Estate Agents all over the nation that are doing something specific with lead generation for real estate that is helping them get more business. And I choose the people who I interview because they’re doing something interesting enough that it’s worth talking about, and for some of you worth duplicating. Last week, in the last episode I was lucky enough to have Karin Carr on the call. Karin is doing a lot of big things with video. And I’ve backed that up today by inviting Sandy Williams on the call, and Sandy has been doing some remarkable things with video herself. So, I think this is kind of a great one to punch here to have the two podcast back to back for those of you that are interested in getting started with video. 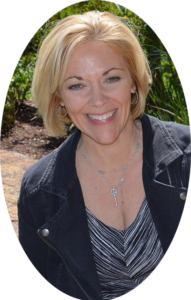 Now, Sandy Williams is a Broker Associate with EXP Realty in the Sarasota Florida area. Her 21 years in the business has included ownership in a real estate office in Indianapolis. And then making a move to the Miami area where she specialized in ROI sales. After living in Miami for 11 years and consistently ranking in the top 5 teams of all of South Florida, Sandy decided to move again. (Obviously Sandy likes to reinvent herself.) Now, she’s living on the Southwest Coast of Florida starting all over again. When she isn’t selling real estate, Sandy writes for The Sarasota Post and spends time kayaking with her husband Hugo. Sandy, welcome to the show. Lori: All right, so I know you personally, which gives me an advantage to our interview. So I’ve been able to watch you grow in your Internet Marketing. And I absolutely love what you’re doing with your YouTube videos. Especially the explainer videos, where you’re telling people who are buying a home or selling a home things that they need to know specifically about the process. I think your first one that I really love, was it how to pass an F.H.A home inspection? I think it was, wasn’t it? Sandy: Right, yes. It was a two-part YouTube video with the breakdown of exactly what an F.H.A. Appraiser looks for. Lori: Yes, and I loved that because it was very, very specific. So you’re answering a very specific question. I love that because those rank better on the search engines and on YouTube. When you can specifically talk about something very, very niche down to a specific part of the process. Or to a specific buyer, to a specific seller. And then you were very friendly, very light. The energy was very light, your video wasn’t fancy but it was clear. The lighting was good, the audio was good, and you just walked everybody through the process of how to pass that F.H.A home inspection. And you were actually at a house pointing to the visuals. Not just sitting at your desk which I also really liked. So, what gave you the idea to make a video like that? Sandy: The state of Florida, because our prices are so high, a lot of buyers and agents aren’t prepared for F.H.A. Now that the markets adjusted, we have entered into the ability for a buyer to buy with F.H.A financing. So that particular house that I used, in that case, was a listing of mine, and I thought,” Wow, what a great way to show people!” Not just tell them what to look for buyers and agents on an F.H.A. property, if you’re going to get and secure an F.H.A. mortgage. Lori: Absolutely, though the best content for the listeners out there, they’re constantly… You guys are constantly wondering, “Well what do I make videos about? Well, what do I write blogs about? What kind of content do I create?” Sandy just hit the nail on the head, she used her inventory to come up with ideas. What fits the listing that she happens to have? What kind of challenges and problems are people going to run into? And the best content solves problems, answers questions. And you can get the ideas for that a lot of times just from what your consumers are asking. Now, Sandy, I was talking to my assistant, Sabrina, who I know also works with you directly on some of your internet marketing. She said you’ve been really getting some great results lately from your video, so tell us: What’s happening with your YouTube Channel videos recently? I can’t take it anymore. And so the way that I did that was through video and photos, and video of inside properties because I wanted to do a niche market in my neighborhood which is new construction and another video that, and I posted it two days ago. Right now I have over 900 views on it, is a drone video of the neighborhood with all the amenities that my niche has. Lori: Is that the Del Webb Lakewood Ranch one? Lori: Yeah, I can see that, beautiful. How much did that drone video cost? Sandy: Like $200, maybe and then I really don’t have the patience to burn the photos. So I put it on Fiverr and it was branded for $6. Lori: Love that, so how much time… what it actually take you to produce that video besides money? Sandy: Absolutely, nothing. I did meet the drone pilot, but it’s the same drone pilot I always use. So, I look at him as a potential because he talks to agents every single day, right. Because that’s what he does, so I wanted to walk him through the facility as well. So, I spent maybe 20 minutes. Lori: Maybe 20 minutes, okay. And then, are you putting these on your website after you’re putting the video on YouTube? Sandy: Correct. So on this particular one of the Del Web community, we actually have a Facebook group. So, I posted that first. I posted the drone video on our Del Webb Facebook group, and it just became viral. We are in the process of building, so there were 200 homes. But almost 90% of the people who were members of that Facebook group looked at the video and commented. Then I had probably 10 shares from residents that posted it on their own. This particular one, it is a niche that I have a showcase page on my website for. And then I linked the video back in there, and then if you look at the YouTube video. You’ll see the link that directs them back to my website. Lori: Yes, I’m playing it now. I’ve got it on mute, so as to make sure that we aren’t hearing anything. Absolutely gorgeous, gorgeous community, the drone captured it. I mean amazing; you just could not get this kind of a video just from taking standard images! Although you could get a bunch of great images and put those in a slide-show or something. The drone absolutely just takes it to a whole other level. I really, really like that. Lori: Are you doing drone on your listings as well? Sandy: Yes, especially since we have great areas in Sarasota and Breynton that backup to a lot of nature preserves, and so sometimes you don’t even know how big that nature preserve is until you have a video done. I mean one of them backs-up to about a mile of nature preserve. I used to live on that street, and nobody knew how big that was until we actually shot it. Lori: Yeah, oh there is your video. You know I’m curious about something on your Del Webb at Lakewood Ranch. One, oh you have, it looks like you have two videos up there. I just want to see it, okay, great. You’ve also got a video where you’re standing there talking about Lakewood Ranch, where you are. So, you’ve done two for that community? Sandy: Right. The first one I did was a model home of a particular house that you could build on Del Web at Lakewood Ranch. And that one was actually within the last week. There were over a thousand views on that, and they actually got a sale off of that video last week. Lori: How did that work? Did the person call you and say,” I’m watching your YouTube video,” or did they register? How did that go? Lori: Yeah, and that’s amazing. You know, the thing with video (and I was saying this on the interview I did with Karen as well) is that people do business with people they know, or think they know. There’s something about video that creates a likability factor, and a feeling like they can trust you or like you. And so a lot of times you actually passed some of that whole interview process because you have already position yourself as an expert in real estate. You position yourself as an authority on your market, and in the other case on new construction. And so they don’t need to ask you a million questions after they watch your videos. They’re already ready to go to the next level, because that kind of was your interview process. Sandy: Absolutely! And what you said about coming out as an authority figure in new construction. Even the blog just really paid off, and always linking back with your video, linking back to your website. I mean otherwise, she may have never found or looked at the video and just moved on. But, then she went into my website and looked around. Lori: Yes, you’re doing exactly what I like to do, which is multi-channel marketing. I always say we are in an age where you could just do a big business off of Facebook. You could just do a big business off YouTube, you can do a big business off Snapchat, or Instagram, or your website, or whatever. But when you can use all the channels to cross-reference back and forth to each other, that’s always going to be an advantage. Because what you can do, is you create your video. You put it on YouTube, and now the people that are actually loving video, or that are on YouTube doing searches. Or that it might be on a search engine and they find your video, you’re appealing to that audience. But then they have a link over to your blog, now you’ve got all of this written content where you’re giving them information that they can further read. And then you can use social media, or pay per click marketing to advertise your video that’s on your blog post. So all of this multi-channel marketing helps you capture more leads. Sandy: Absolutely, and it’s paying off. I can’t tell you that it’s something that automatically works right away. It’s something that you nurture, and you feed, and then the results just happen. Lori: Right, you are. Do you have any kind of schedule with how often you make videos, or is it just based on when you’re inspired? How does that kind of work for you? Sandy: The videos are actually becoming more scheduled because of the feedback that I’m getting. It’s just been reinforced, so for example, we’re going to do a video again this week. My goal now that I have the groove of editing, finding somebody to edit and brand (which I definitely didn’t want to take that endeavor on!) And then finding Fiverr which is super good, fast and cheap. That allows me to go do more video, just do the handoff, and just keep going. So, my goal for now, till the end of the year is one video a month. Lori: Okay, one a month. And I like to ask people because I want everybody to understand. You know I’m making a video every day, or more than one a day, on my tutorial-style videos. Because that’s what I have the time and the energy to do, and remain focused. Karen is doing one video a week, and that’s what she has time and energy and focus to do. Sandy is now doing one a month. The point is just doing it, and creating a process that works for you. You might start off with, you know one a quarter, and one a month. And then one a week, and maybe more from there. But you definitely want to have some sort of consistency. (I’m addressing my listeners there.) Sandy, tell me more about Fiverr? So for those who don’t know, how do they get on Fiverr? Sandy: It’s a website, and, Lori its FIVERR. Sandy: I believe Fiverr.com. You can set up your profile; you can put a bid in basically saying this is what I’m looking for. People bid the job, go in and check out their experience and the reviews. I think that’s very important. Then when you find somebody that’s doing a good job, keep them and tip them. They’ll remember you, and now I have the person that burns my videos. It’s six bucks, I usually tip for $5, and then I also have somebody that will break down my videos for me and edit them. And that’s less than $20. Lori: Okay, let’s go back over those processes right there. So, first step is you were looking for somebody to specifically edit your video? And what does that mean? Were they just putting an intro and an outro? What does that editing include for 6 bucks? Sandy: Well, the editing of the video is $20. The videos are made with myself and my husband. So, my husband shoots them, we have a Gimble and I have a Lapel microphone. Lori: Hold on one second. Let’s break it down so everybody understands the exact process. So, you are bidding it out, so you’re creating…You’re not just going in there and picking somebody one of these gigs, and say I’ll do this for you for 5 bucks. You’re actually going in there and placing this order, and telling them what you want that these other people are coming in and bidding on. Are you actually breaking down, “I want less closet? I want this edited.” How do they know what to edit to your liking? Lori: Is that in the bid? Or is that after somebody has accepted the bid? Sandy: After somebody has accepted the bid, because to me it’s important to go back and look at their reviews. Look at, did they deliver on time? You know also one of the things that you want to look for, is do they understand English language. Is English Language their first or their second? Not that that’s a problem, but communication is important when you’re editing a video on where it needs to be cut. So, they just have to understand basics. Lori: Okay. So you’re putting this bid that says, basically I want this video edited down to a…Do you have a copy or would you be willing to send me a copy of kind of like what your bid request would look like? Lori: That might help everybody so they… I’ve never even done a place to bid on Fiverr, so that’s; that’s a new one for me. I bought things from Fiverr but I’ve never bid out a project. Of course, that’s got my wheels turning about a million things I could probably bid on. I will probably love it. Sandy: I love it; I bid on all kinds of stuff now. I mean you name it, I bid it out. Whether it’s a flyer, a .pdf, anything, I leverage all of that out. Lori: What happens if you bid it out and you don’t like the results? What happens with Fiverr? Sandy: You can get a revision. You don’t pay for it until you are happy, so you can get a revision once, twice, three times, it depends. Look at the bid. Because I always put in there I want a minimum of two revisions, the option for two revisions without additional fees. So that’s why it’s important to read the reviews on how that person communicates with the orders. Lori: Gotcha, so you rate and review the person that you use. Lori: And how does tipping work? You said you’re tipping them, is that a customary process on Fiverr? Sandy: They will ask you at the end once you pay, would you like to tip them. And honestly, $5 to burn a video or $6 is so cheap I just feel…And this past one it was done in less than twenty-four hours, there was one revision. She was super fast. That was such a good service, why would you not want to tip? Lori: Yes, did you say you’re getting transcripts from there as well? Sandy: No, you know, Lori, after watching one of your videos about transcripts, I probably will bid that out and see how they do it. I haven’t done that yet. Lori: Okay, yes, I’m doing, and now I’m curious about this. I mean, I have my content manager who gives us a whirl because we’re producing so much video. It’s ridiculous, and our transcript bill is really high. We pay as we go, it’s not a penny bill. It’s huge because it’s a dollar a minute from Rev.com. Now for a 5-minute video, its 5 bucks. But my entire team is producing video every day. And it’s it gets edited quite a lot. And my interviews, like your interview, will be 30 minutes and that cost will be $30. So, I’m wondering now if I could get a great person on Fiverr. They could transcribe all on our videos, probably for a fraction of that. Sandy: I wouldn’t doubt it. I mean just to look in there, it’s worth just going in there and checking all the service. Sandy: I had a whiteboard video done that I use for my listing presentations, especially since, once again, our clients aren’t here. Our clients are all around the world, and they own property here; but they don’t live here. So, one of the things that I do was a whiteboard listing presentations, just basically an intro about myself. And I did a whiteboard with voiceover for a 100 bucks. Lori: Wow, and those things are so expensive. Lori: I mean whiteboard explanatory videos are $500 and up. I mean that’s really fantastic, I know I did a lot of fun things. I haven’t been on here a long time, so this inspired me. Now I want to go on there and play a little bit. See what I can find. You know what I love about what you said isn’t even just Fiverr, although that’s probably the best takeaway of the call. I think what I’m hearing you say, though, is to leverage that out. Regardless of who’s doing it for you. I mean your job, your best time spent when it comes to video, is doing the video. Because that’s the hardest part. That’s why people don’t want to do video. People they don’t want to do video because they don’t want to be on the video. They don’t want to do the work; they don’t want to come up with the topics. There’s a million reasons why people don’t do the video, and so it’s most untapped. It’s the most untapped opportunity out there in my opinion right now on the real estate video. And especially what you’re doing with a couple of the… I love your listing videos, I love your neighborhood videos, and Del Web one is fantastic. The explanatory video actually being onsite at a house, oh my gosh! I just absolutely love that. And that’s going to set you apart and help you dominate your market, because other people aren’t going to want to do that. But you’ve done it very intelligently, and you said, “I don’t want to sit and do the editing.” Neither do I, by the way, I hate editing. And so you’re like, “No, I’m going to sub that out, and I’m going to find an affordable way to do that. So, I can just go back and make more videos and be out in the field with those customers when they call and say, “Hey, come list me or come on represent me.” So, you know where your strength is, you know where you want to be and you are leveraging out those other parts. Now I will tell you that getting, taking this another level and doing the transcripts on like your explanatory videos. And maybe we can find somebody on Fiverr to do some of this stuff too. Like SEO optimization, the SEO part of it. Where they go in and create the internal links and put in their SEO stuff. But if you would take like you’re, of course, you are already creating articles around your videos anyway. So, you might not even need the transcript if you’re writing an article. The transcript really comes into play to use it as the basis for your article. To optimize as if it were a blog post, but if you’re already creating an article around that, you don’t necessarily need the transcript. Sandy: Well, I think the transcripts are great because some people watch, on their cell phone, and won’t necessarily read the article. I just found that when I put an article or a blog post up, and then put the video in. It’s amazing when you look at Hot Jar, for example. When you look at all the clicks of the video, you know they work. People like to watch video. It’s debatable whether or not that’s a direct ranking factor with Google. What we do know is that it’s a quality indicator when somebody spends more time on your page, and on your website. Also, the longer play time you get on your videos, the longer watch time, the higher you rank on your YouTube channel. So, when you take those videos and embed them on your blog post, somebody is sitting there, and they press play on the video. They’re looking at the blog post at the same time. You’re getting more watch time, and that video is going to help you rank higher on your YouTube channel as well. Again, that cross-channel marketing gives you extra exposure there on both engines. Which is incredibly powerful. So, is there any other equipment or software or anything that you’re using? I love your tip about Fiverr. I think that, like I said, that’s the takeaway of the call. That was fantastic, is there anything else that you got the drones out another take away from you. I’ve never done anything yet with drones myself. But now I’m thinking of bidding that out. See if I can get some drones over Summerlin out here; that’s a killer idea. And where did you find your drone guy? Sandy: They are the ones that actually do the interior photos, so I used them on certain homes again. Because people don’t live here, and if I can give them the experience of being here without really being here I have a better chance of selling the house if they’re up in Connecticut. One of the other things I use is a company called Ten X. I believe that they are not just in Florida. I believe they are in several parts of the United States. Check them out, they offer matt report, drone videos, and inside videos of the home, as well as still shots. Lori: Yes, I just saw them, somebody added me to a Facebook group that they manage. And for software, you say I-movie although you’re not doing the editing yourself. You got a Lopel mike; you use your iPhone and a Gimble to hold the iPhone steady. Your husband’s doing that, is there anything else? Any other software or equipment we didn’t mention? Sandy: The only thing other thing we’ll use sometimes if we don’t have a lot of natural light, is to actually have a light source that we carry around with us. If for some reason wherever we’re shooting, especially inside the house, I think on the F.H.A. video, I was in the garage. You probably can’t tell, but it’s 120 degrees in the garage in July in North Florida. And so we had to make it quick, but it was dark in there. We used a portable light source. Something that just stands on a tripod, and you can plug in. It gives you a little bit of extra light, that’s it. That’s all, it’s simple, it’s easy. You know, let’s not complicate it. I think the Gimble really makes it look a lot more professional because it steadies the movement of the video. And that’s it. It doesn’t have to be expensive. It just has to be you. Lori: That’s right; it doesn’t have to be expensive. It just has to be you, that’s 100%. Just showing up and getting it done is half the battle, right there. Like I said, that, most people won’t do, so it truly gives you the advantage. I’m going to encourage you, Sandy, to keep going and keep doing these. I think you are very natural on camera. I think the more you do this, right now, while it’s untapped opportunity, the more you can take advantage of dominating the market through your video. Whatever it is that you can do, I’m just encouraging you to do more. Because you’re just right in the pocket right now. You’re right in the pocket. I want to see you just kill it on that because you’re so natural. And you just kind of got it all together, so just increasing the amounts would probably be a huge benefit to you. Well thank you so much, Sandy is one of our BREW clients, she has a Ballen real estate website. And she’s a natural marketer, so we love having her on. If you’d like to keep Sandy in your minds and for your referrals, she is in Sarasota.You can find her at SarasotaSandy.com. Serving Southwest Florida, goal coastal cities of Sarasota, and the barrier islands. Sandy also still sells in Miami, as well. So, Sandy, I’ll make sure all of your information is in our write up so that they can contact you. Lori: One final piece of advice before we let you go. What would you leave everybody with? Sandy: I just do it, and don’t overthink the process, because video is easy. Don’t critique yourself, everybody is human. Just go out and do it. If you are looking to buy or sell a home in Sarasota or the Bradenton area, contact us and we will show you what separates us from the rest.